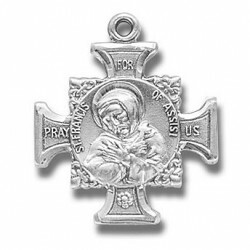 Patron Saints E-I There are 76 products. 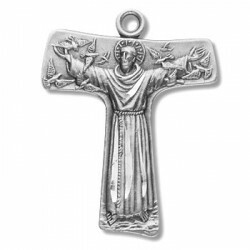 St. Francis Tao Cross Sterling Silver w/18" Chain - Boxed Traditional Medals of devotion in fine Sterling Silver. 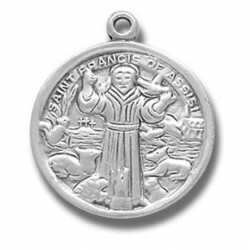 St. Francis of Assisi Sterling Silver Small Round w/18" Chain - Boxed Traditional Medals of devotion in fine Sterling Silver. 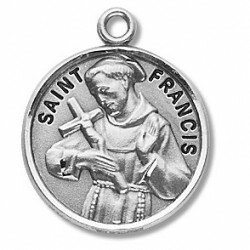 St. Francis & St. Anthony Sterling Silver Cross w/18" Chain - Boxed Traditional Medals of devotion in fine Sterling Silver. 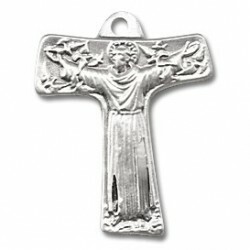 Sterling Silver Medium St. Francis Tao Cross w/24" Chain - Boxed Traditional Medals of devotion in fine Sterling Silver. 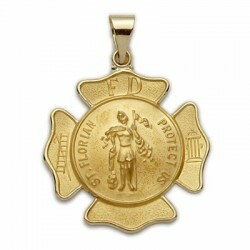 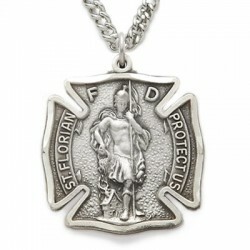 St. Florian Sterling Silver Large w/24" Chain - Boxed Traditional Medals of devotion in fine Sterling Silver. 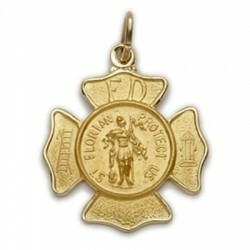 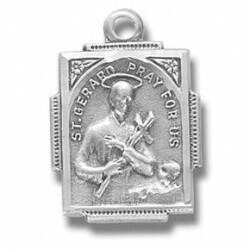 St. Gerard Sterling Silver Small w/18" Chain - Boxed Traditional Medals of devotion in fine Sterling Silver. 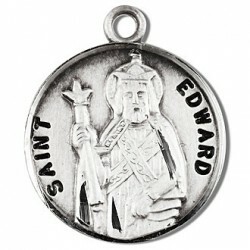 St. Edward Sterling Silver Round w/20" Chain - BoxedSterling Silver Patron Saint Medals. 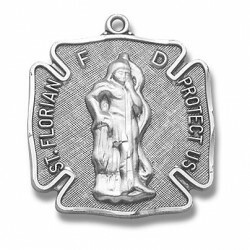 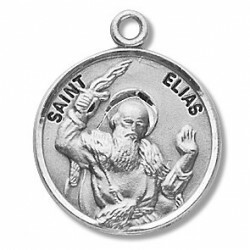 St. Elias Sterling Silver Round w/20" Chain - Boxed Sterling Silver Patron Saint Medals. 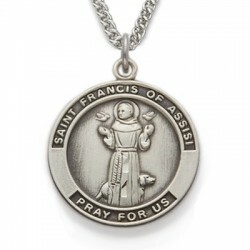 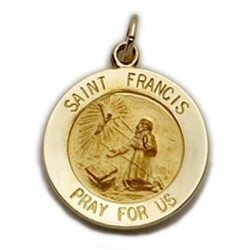 St. Francis Sterling Silver Round w/20" Chain - Boxed Sterling Silver Patron Saint Medals.